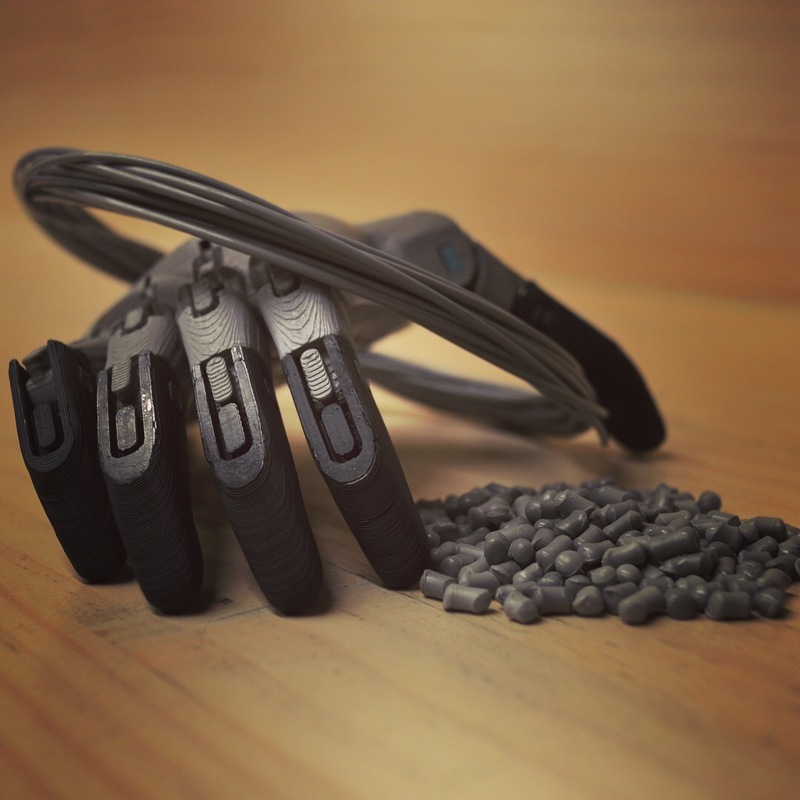 3D Printing As a Circular Technology? Today’s guest blog is from Héctor Loyola, co-founder of Qactus and communications director. 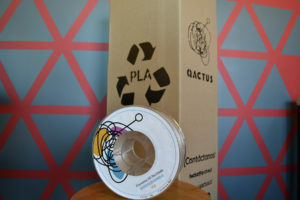 Qactus is a company that merges two worlds as never before: plastic waste and 3D printing technology. 3D printing came to shake up the way things are produced and bought, since it allows to manufacture objects locally, in a customized way and at low costs. Its 25% annual growth indicates that it will be one of the main technologies in the near future and an important source of opportunities for industries as distant as health, fashion or food. Currently, the main input for 3D printing are plastic filaments, which are mainly manufactured from ABS (interior of cars, refrigerators) and PLA (biopolymer used in food packaging). Only in Chile around 20 tons of filaments are sold annually, which inevitably go to landfills once they are used. While this is still a low amount of waste as compared to what other industries generate, the growth of this technology predicts a huge contribution to plastic pollution. Therefore, we have asked ourselves whether there will be any way to avoid this scenario. We think it is possible, if we can turn 3D printing into a circular technology. 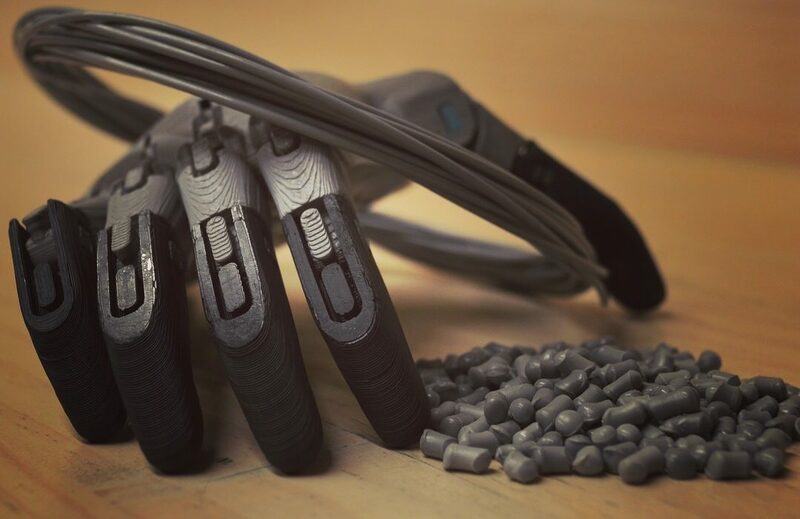 At Qactus we detected this problem / opportunity, and developed the first 3D printing recycling system. Firstly, we collect plastic waste from Fablabs, universities and companies. Then, we process them to turn them into new filaments that we can sell in Chile and to the world. Thus, 3D printing is an example of how circular economy concepts can be applied, as it becomes the first self-sustaining/zero waste technology. 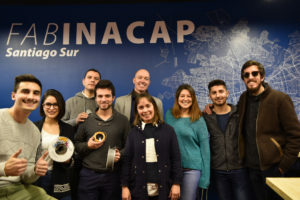 The Plastic Oceans Chile team visits the Qactus office. As we actively seek to motivate the 3D printing community to be part of this purpose, a fundamental part of the system is giving them direct benefits for recycling, such as discounts on our products. The goal is that recycling is not only desirable, but also irresistible. We know that plastic pollution is one of the biggest problems that we face as humanity, and solving it requires powerful and global actions. This is why the work of organizations like Plastic Oceans is so important, as they are making us all part of the problem as well as of the solution. The meeting that we had a few days ago gave us lots of new energy, as they showed us how our generation is not willing to settle for a future filled with plastic. We are sure that the current plastic pollution problem will be solved, and we will do it with technologies and people that defy the status-quo and embrace circular economy.